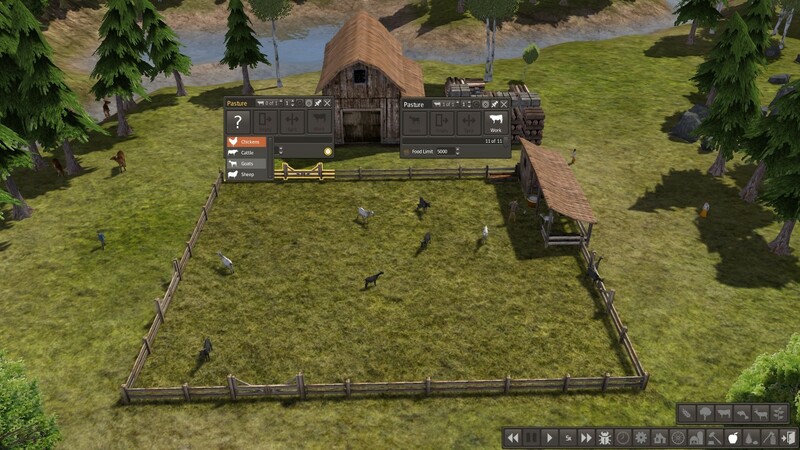 Version 1, This mod add Troy's Goats to the game as livestock. Goats drop Milk over time. Drop Goat meat when killed. 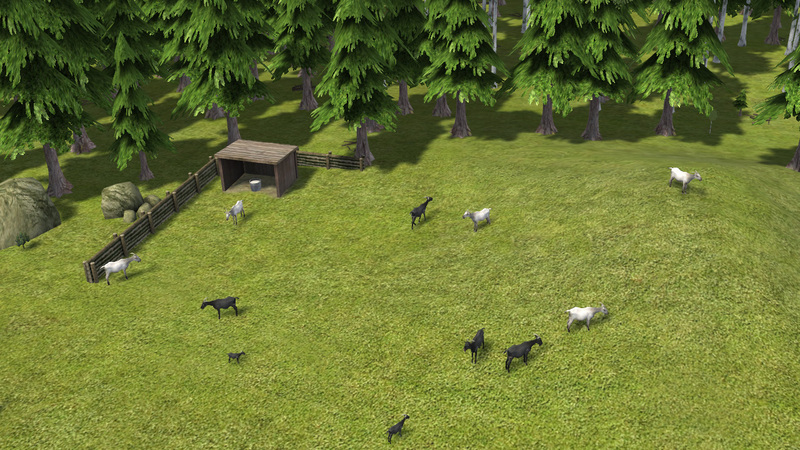 Goats are included in RK Editor Choice mod all versions. 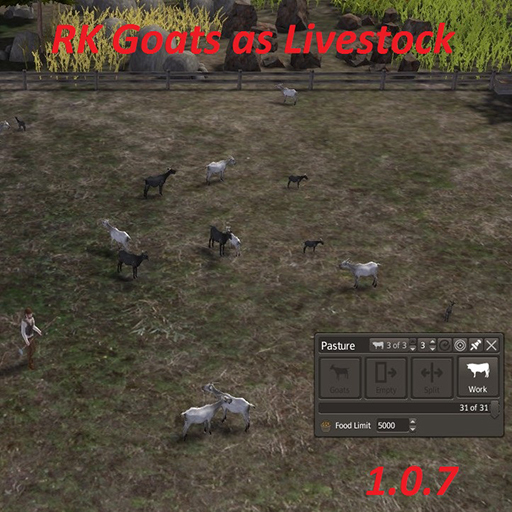 This mod is for the people who don't want to use RKEC mod but still want Goats. BIG THANKS to Troy who graciously provided the goat model and its animations. Why have two different milk versions? Goats only produce goats milk. In RKEC Goats produce the same milk as cows but in less quantities. Someone asked me a version of these goats dropping Goat milk instead. Ah! OK! Thanks for the explanation! Thanks for making the goats available! I have tested them and they feel well in the North. Red, how many tiles does one animal need? Could you please publish the numbers for all these new animals? Hi, RedKetchup thanks for this and the other livestock mods (ducks, pigs, bison, goat and longhorn). It's possible to have just a mod that contains all of them, (no fresian cow; i have, them from red creamery, another beautifull mod of yours), in the version with (generic) milk and eggs, but without other for pigs and bisons? nan i prefer to keep them as they are. i think it is better, everyone can decide which one they get and only have 3-4 mods to enable in their list of mods.